We were approached by CellaTech with a simple request. "We are a startup," they said, "and need a web site to quickly and directly begin looking for venture capital to build and expand our firm. Oh, and by the way, we have very little text or images." Challenge accepted! 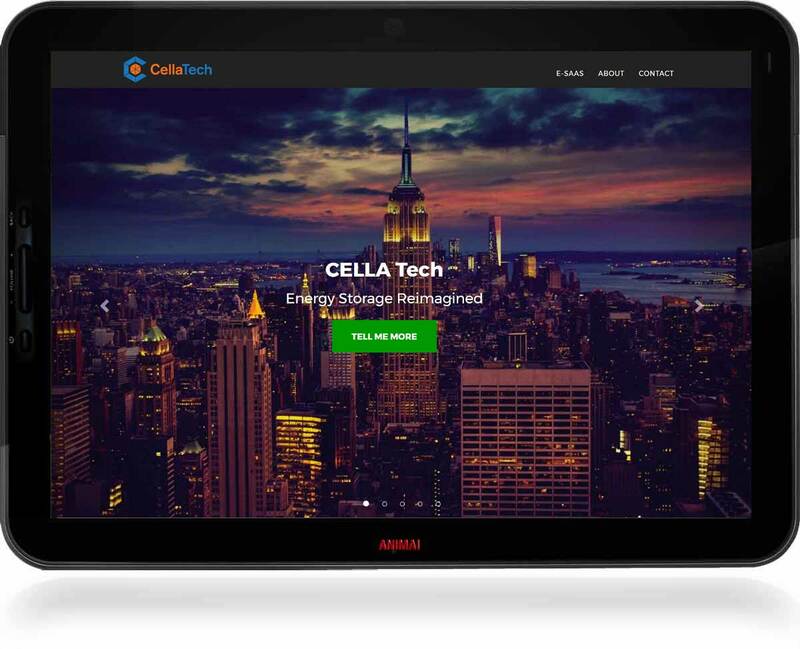 CellaTech is in the business of the design and installation of lithium-ion based Energy Storage as a Service (E-SaaS), working with industries requiring reliable uptime but challenged by poor energy infrastructure. They primarily work in emerging and frontier markets where they can achieve the greatest impact through reductions in fuel consumption, greenhouse gas emissions, and airborne particulates. It was a challenge to get CellaTech’s site up and running given the time- and collateral materials limitiations inherent with any startup. CellaTech’s principals provided as much information and material as possible, and we were able to succesfully launch the site in under two weeks. Now that’s what I call Energy Management! ©2014 - present Animai Web Design & Development.